Medicinal Plants Folding Pocket Guide | BUDK.com - Knives & Swords At The Lowest Prices! 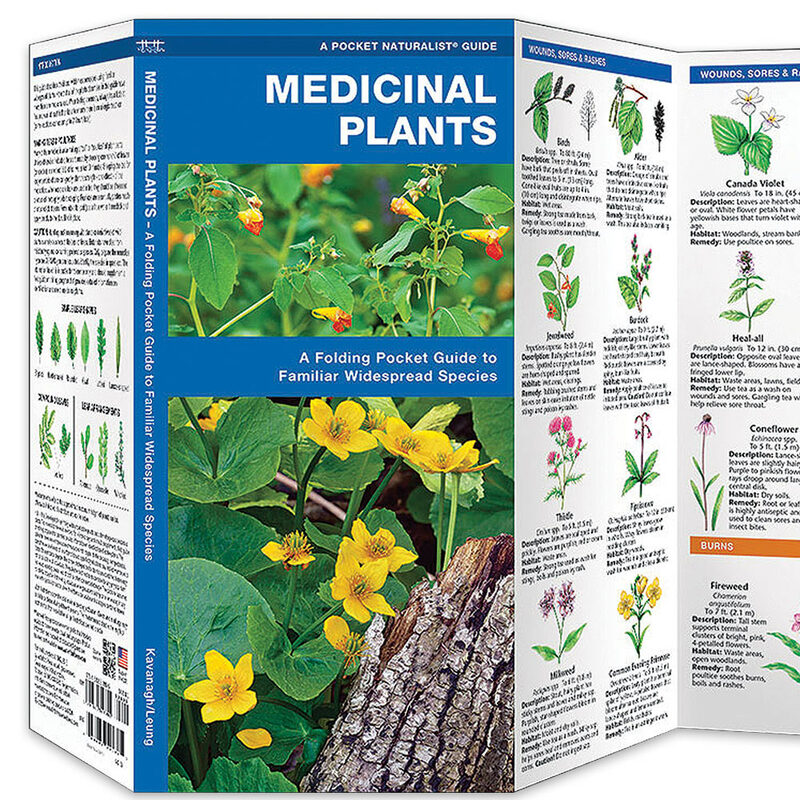 This guide describes how to use common wild plants to help treat injuries and help alleviate internal discomforts. This beautifully illustrated guide highlights over 80 familiar species of medicinally relevant, widespread trees, shrubs and wildflowers. The plants are sorted in categories of the injuries/ailments they can help to alleviate and also identifies the most commonly encountered noxious plants. 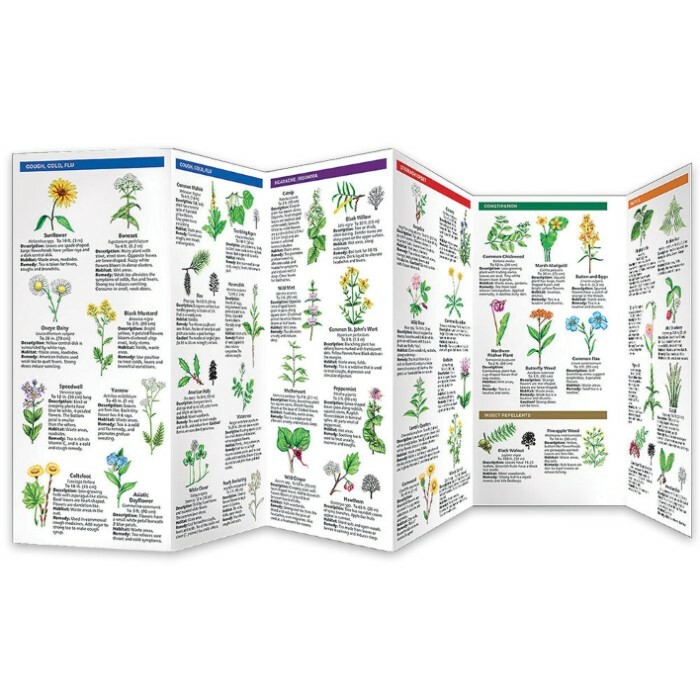 Laminated for durability, this one ounce pocket guide provides simplified, essential information for hikers and campers of all ages on how to treat common backcountry maladies with wild plants.